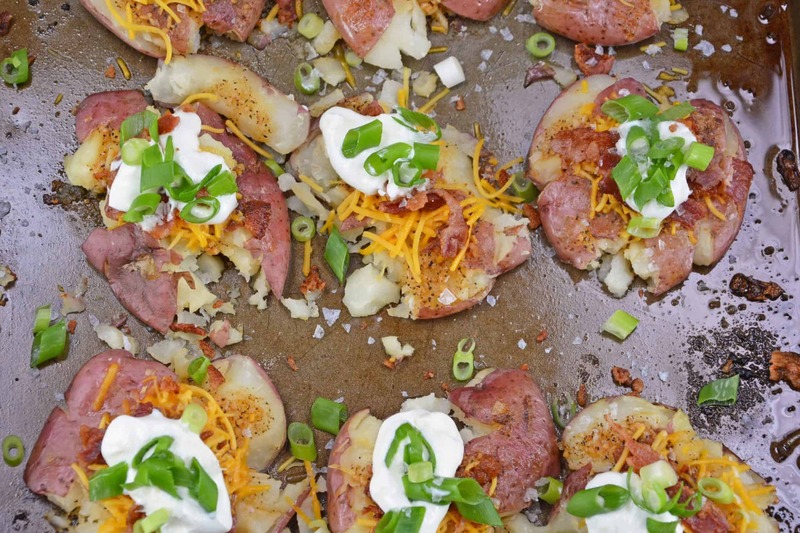 Loaded Smashed Potatoes are a Pinterest inspired recipe. Everyone keeps pinning it, so I figured I would try it. Result: good, but overrated. It is basically a baked potato smashed and dressed. 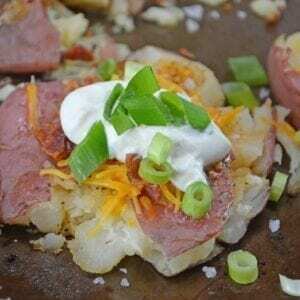 Loaded Smashed Potatoes are a cross between a loaded baked potato and loaded mashed potatoes. 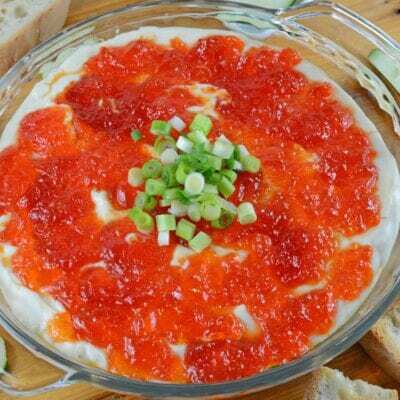 Topped with a zesty butter sauce, cheese, bacon, sour cream and scallions. I did like that smashing it and then baking it allowed for crispier edges and skin, but otherwise, it was just a plain potato. Which brings me to how my smashed potatoes ended being loaded smashed potatoes! 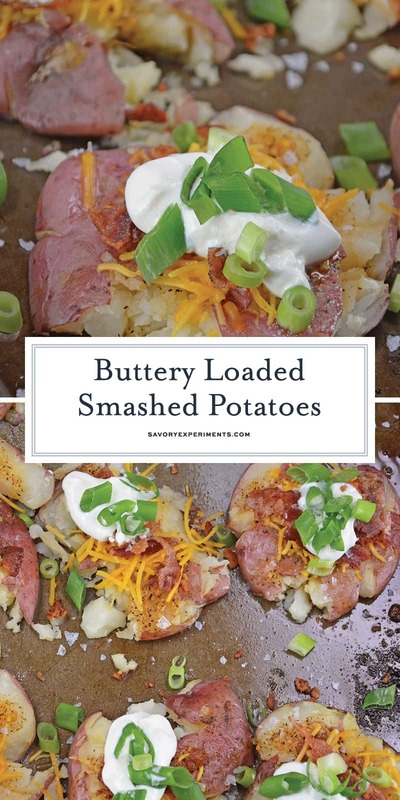 They are like a cross between loaded mashed potatoes and a loaded baked potato, only with a fabulous zesty butter sauce. Really, I am a fan of any potato, spud, tuber. If there was one food I could literally eat for the rest of my life for every single meal, it would be potatoes. Sweet, red, Yukon, baby, you name it, I’ll eat it! 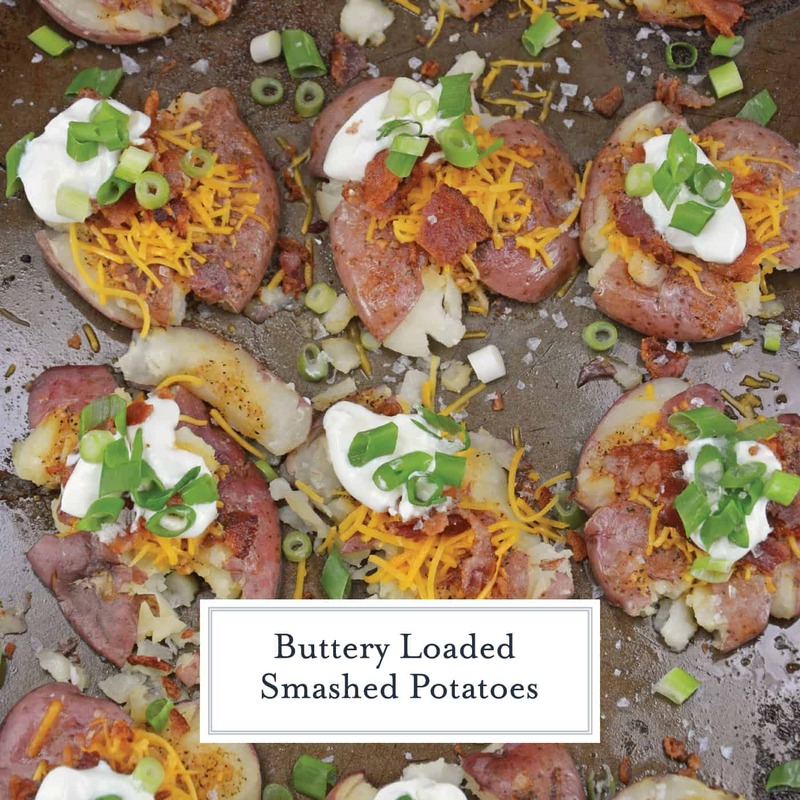 Loaded Smashed Potatoes are my alternative to baked potatoes. The secret ingredient is sure to have your family asking “what did you put in these?” You don’t even have to tell them the truth. We can’t keep it our little secret. I used this sauce on my Classic Cornish Hens too. A few dabs of hot sauce elevates a basic butter sauce with a little bite. 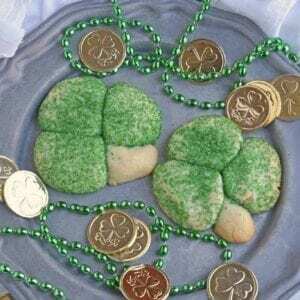 It also works perfectly on these delicious potatoes! Try it for lobsters, grilled chicken and more! 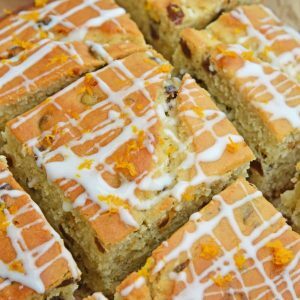 – perfect for making sure your potatoes don’t stick to the baking sheet! 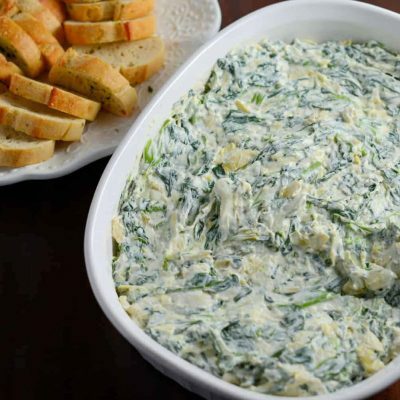 – Usually used for traditional mashed potatoes, you can also use them for Loaded Smashed Potatoes! 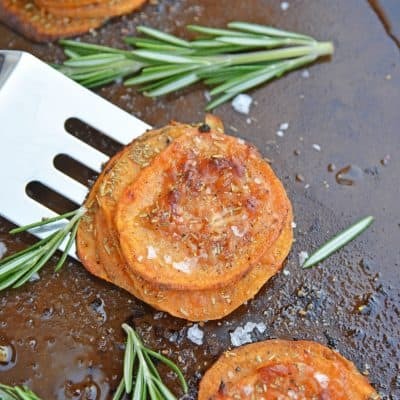 If you love easy potato recipes, check these out! 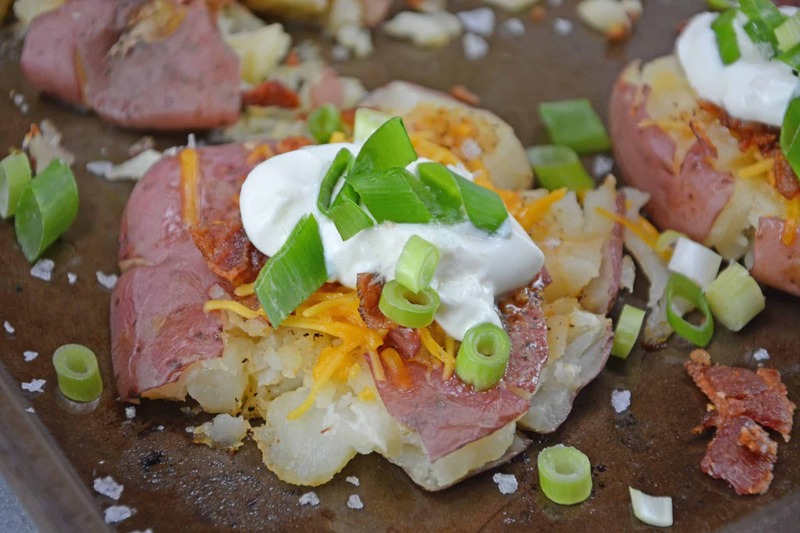 Loaded Smashed Potatoes are a cross between a loaded baked potato and loaded mashed potatoes. 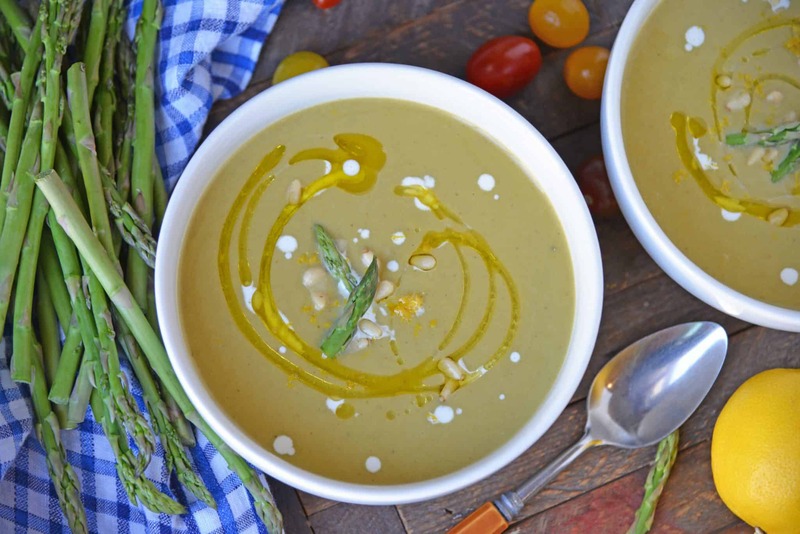 Topped with a zesty butter sauce, bacon, cheese, sour cream and scallions. Fill a medium sauce pan 3/4 of the way with water and bring to a boil. While waiting for water to boil, scrub potatoes and remove any blemishes. Place potatoes in rapidly boiling water. Boil for 20-30 minutes (depends on the size)or until potatoes are easily pierced with a fork. Preheat oven to 400 degrees. Remove potatoes from boiling water to a paper towel lined plate. Pat dry. Line a baking sheet with parchment paper. Place potatoes onto parchment. Using a small plate or the bottom of a pint glass, smash potatoes. Place in oven for 20 minutes. Meanwhile melt butter and mix with hot sauce, garlic, fine sea salt and freshly cracked black pepper. Drizzle over each potato. Return to oven for 5 minutes. Top with shredded cheddar cheese, crumbled bacon, sour cream and scallions. Serve immediately.